Use a plastic bottle to catch your shrimp! Get a plastic bottle and thoroughly rinse it with water only. Cut off the top third of the bottle. 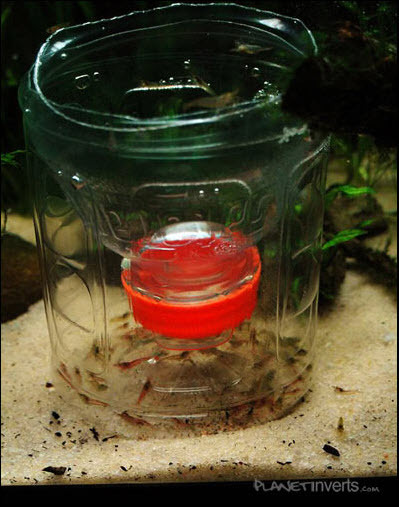 Poke a hole in the bottle lid that is large enough for your shrimp to fit through and too small for other tank dwellers to fit through. Put food in the bottle and put the top section of the bottle into the base section with the mouth on the inside. Consider using a pin to poke holes around the sides of the base for added circulation and set the trap near the filter outflow.